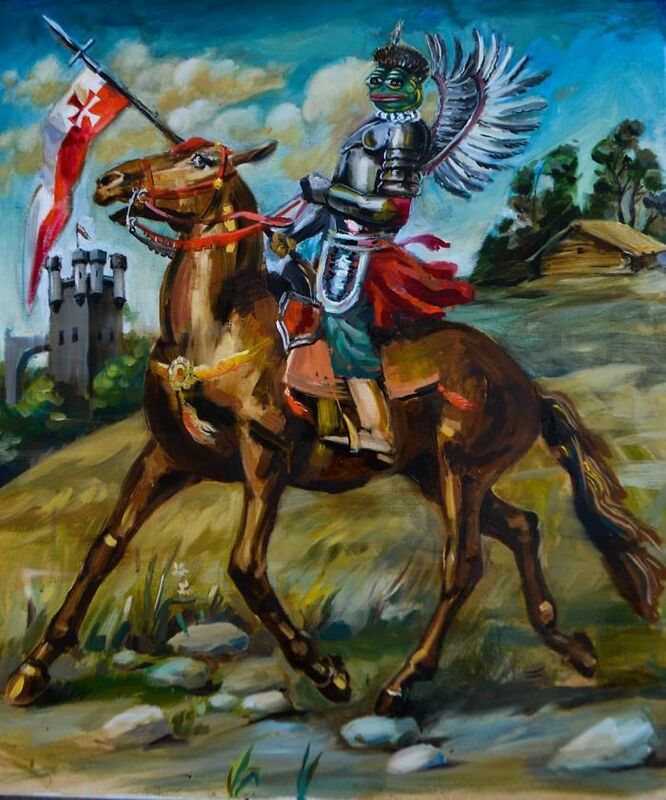 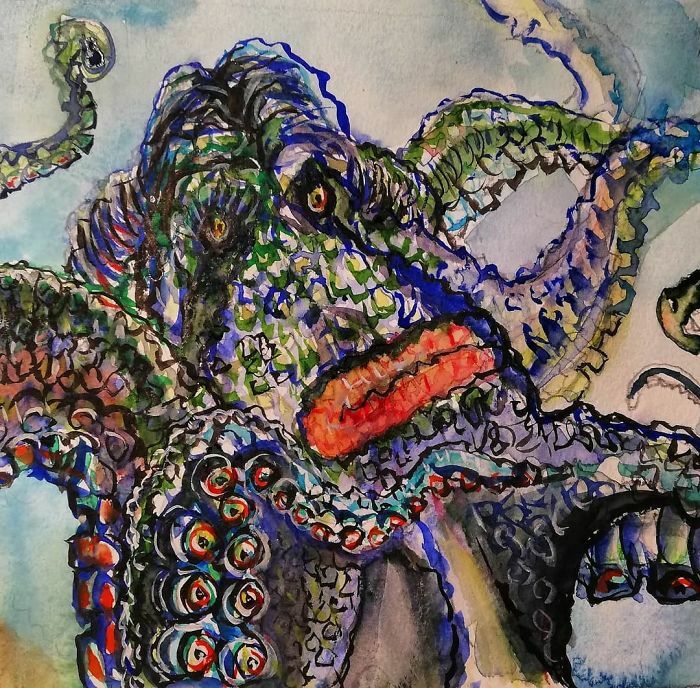 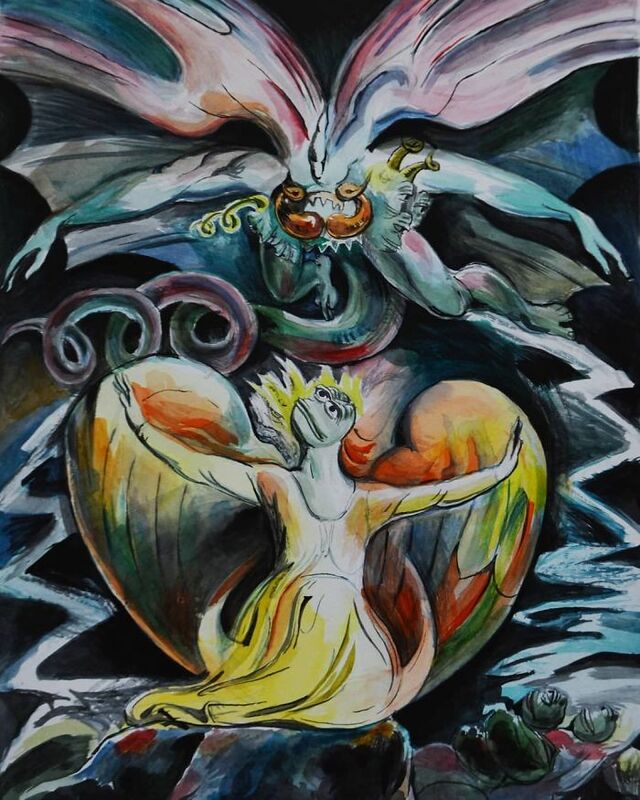 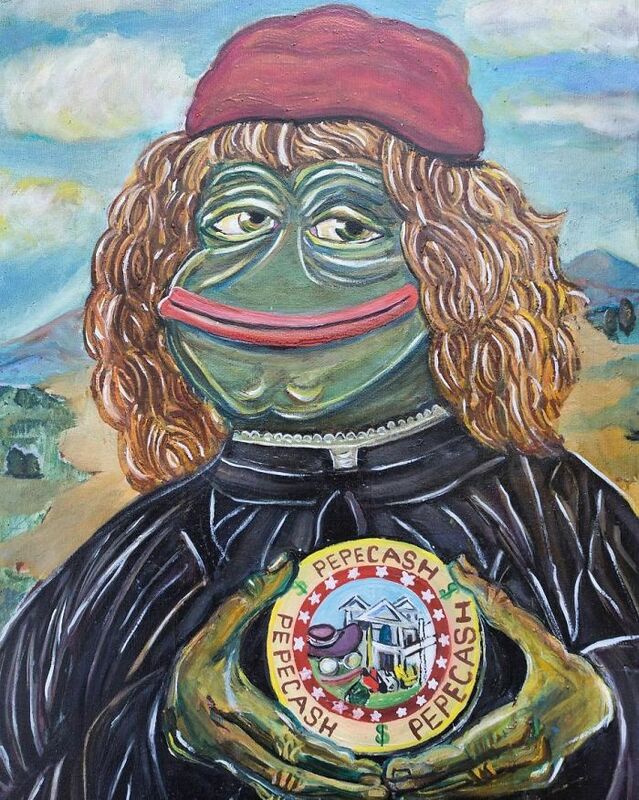 Russian artist Olga Vishnevsky goes by the nickname Pepelangelo and it’s the best description of her work as well. 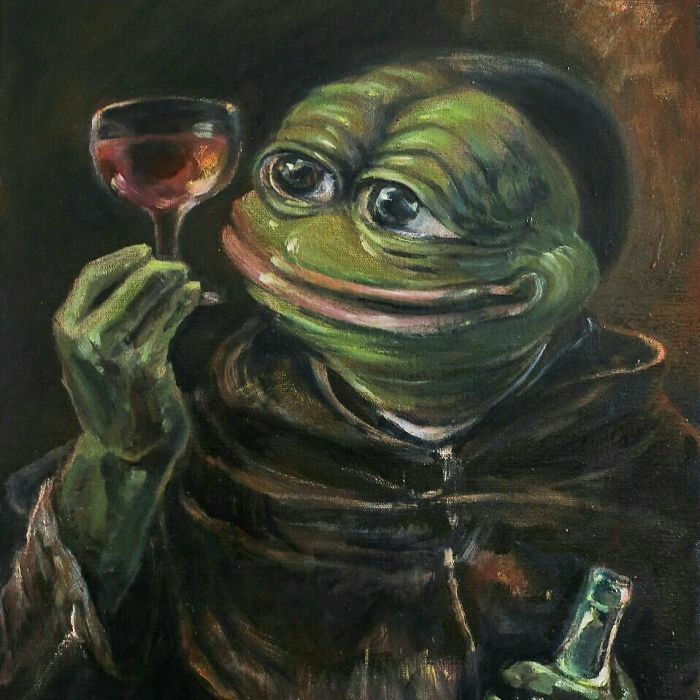 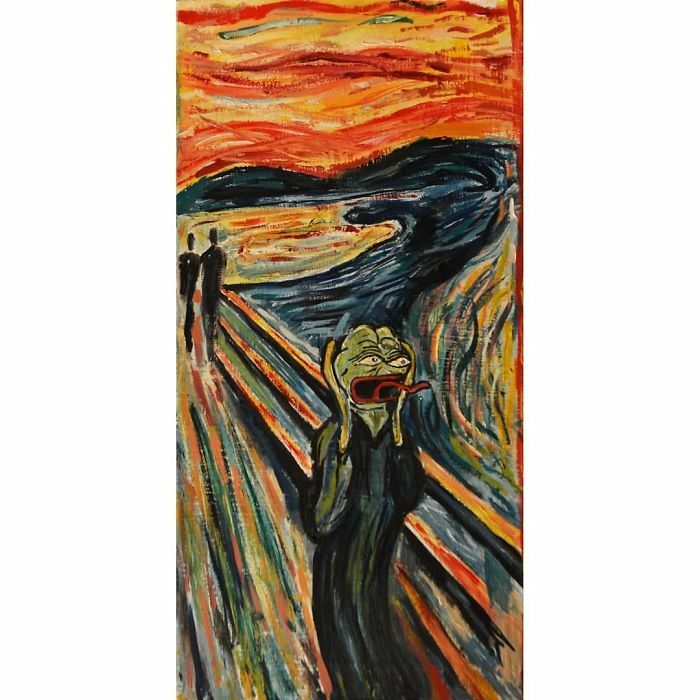 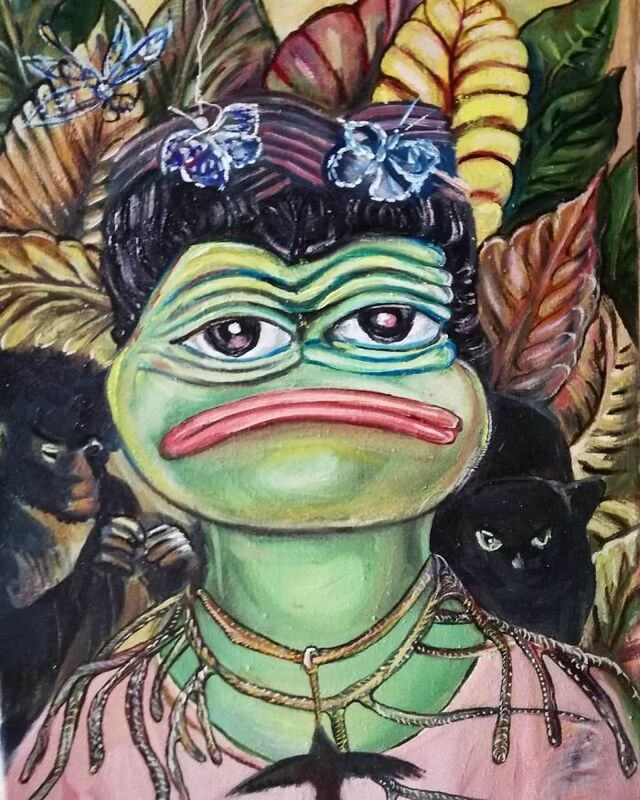 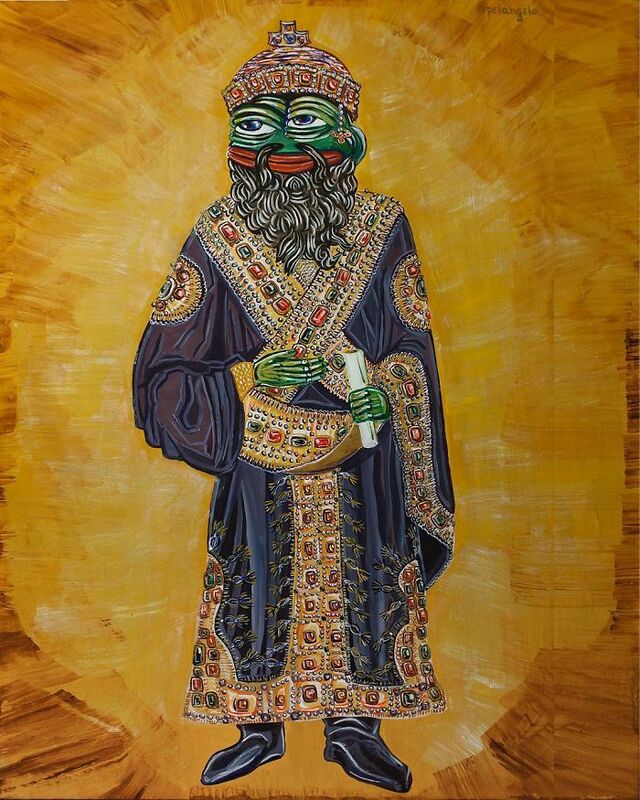 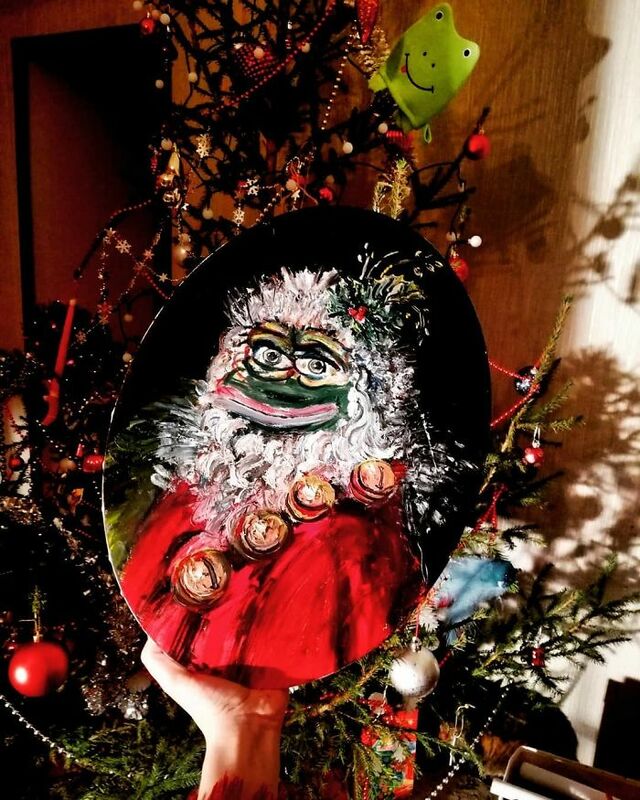 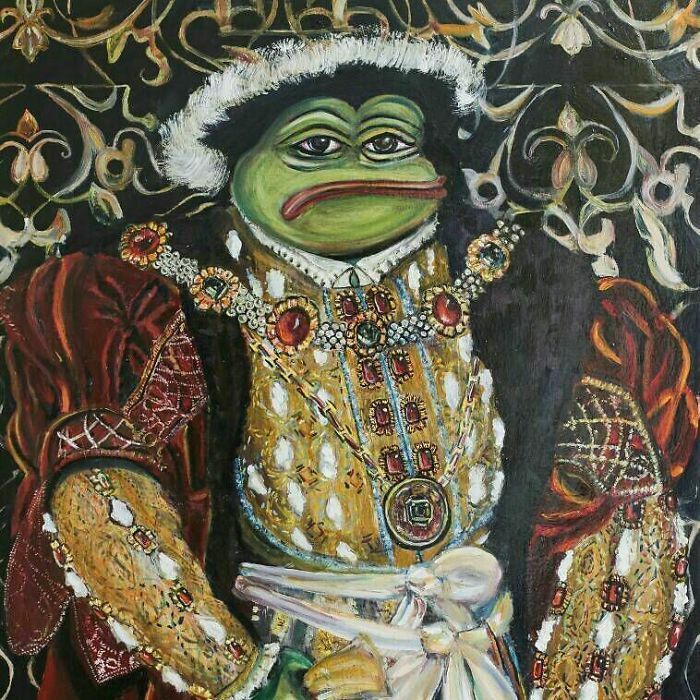 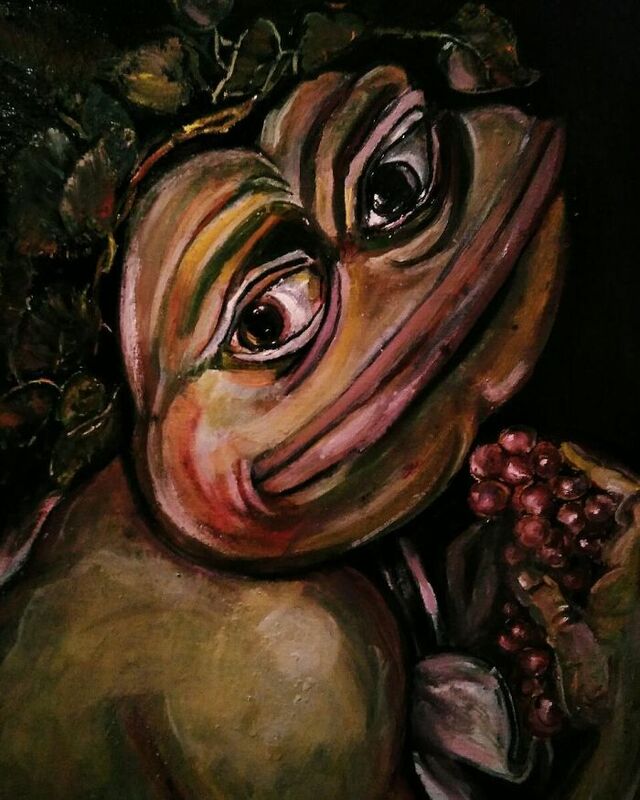 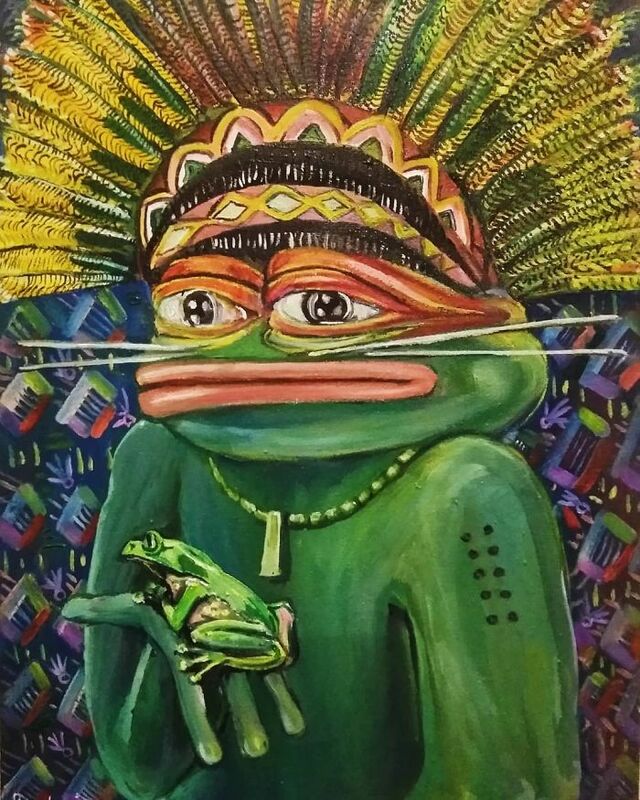 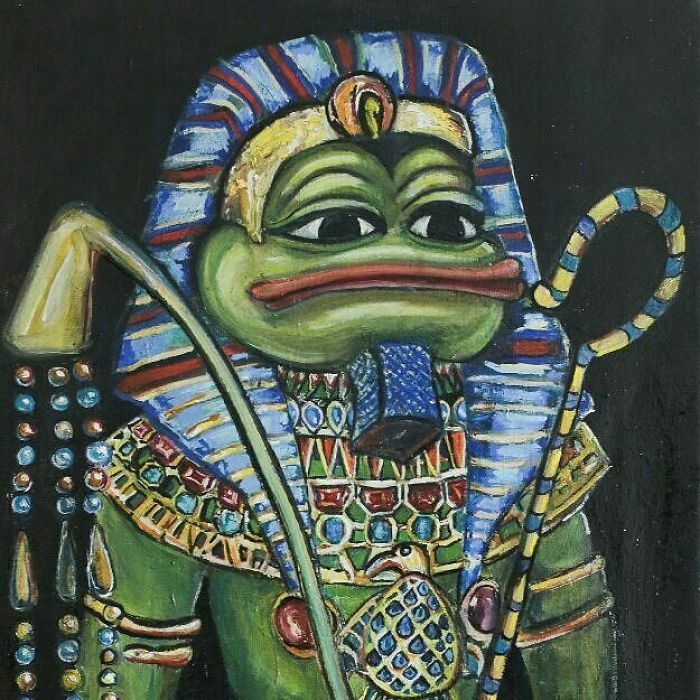 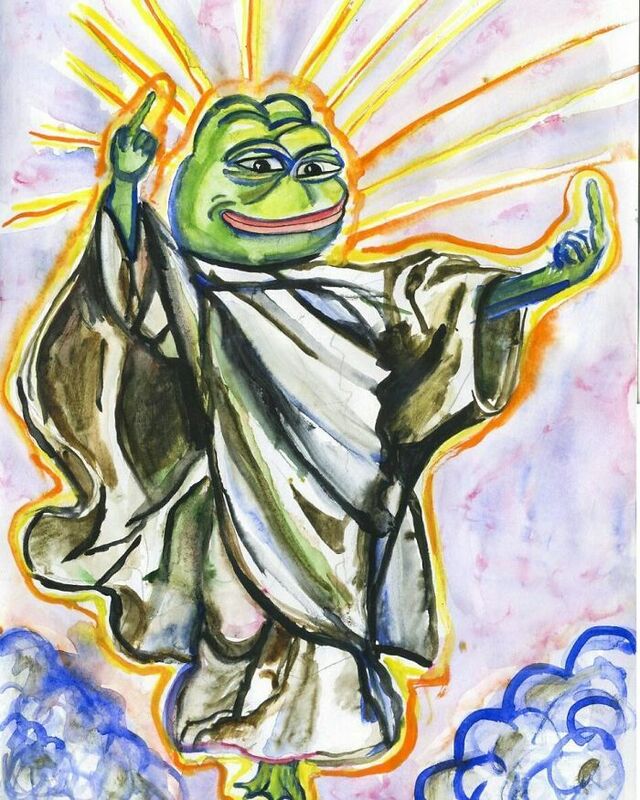 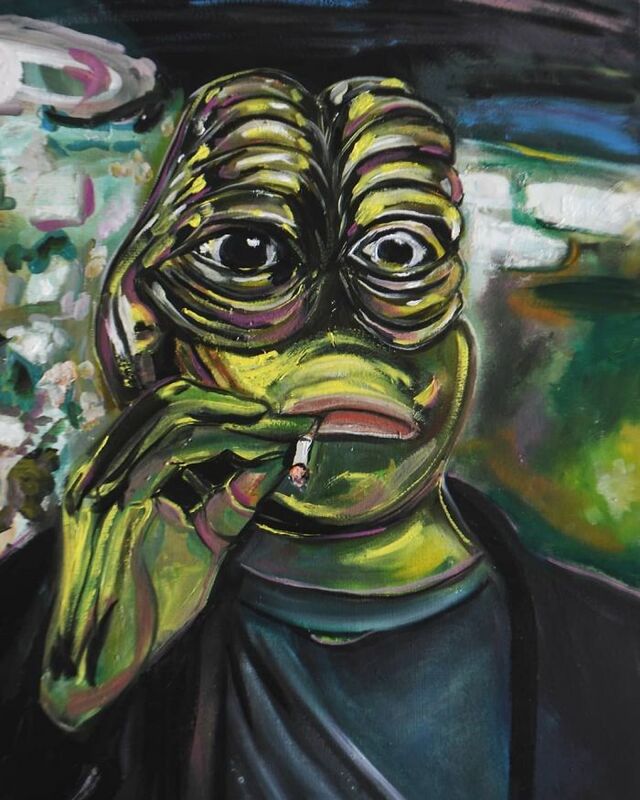 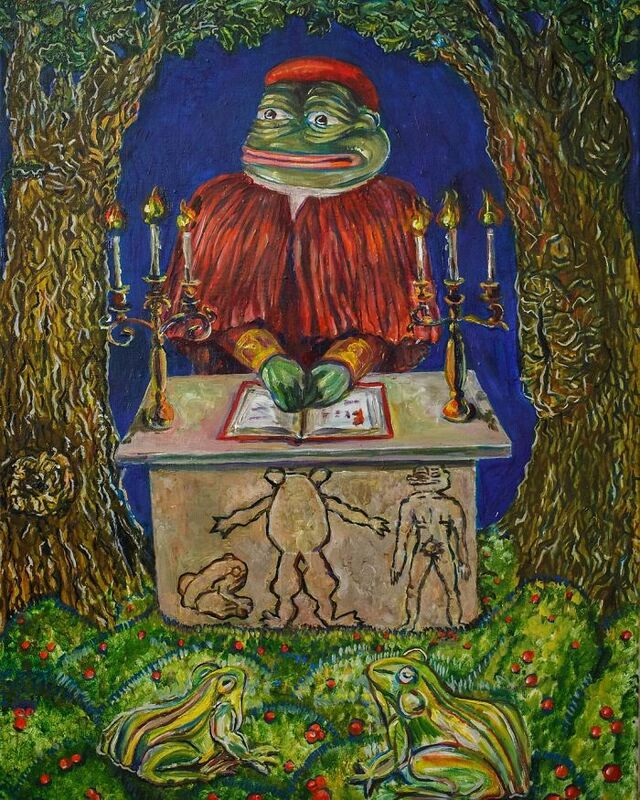 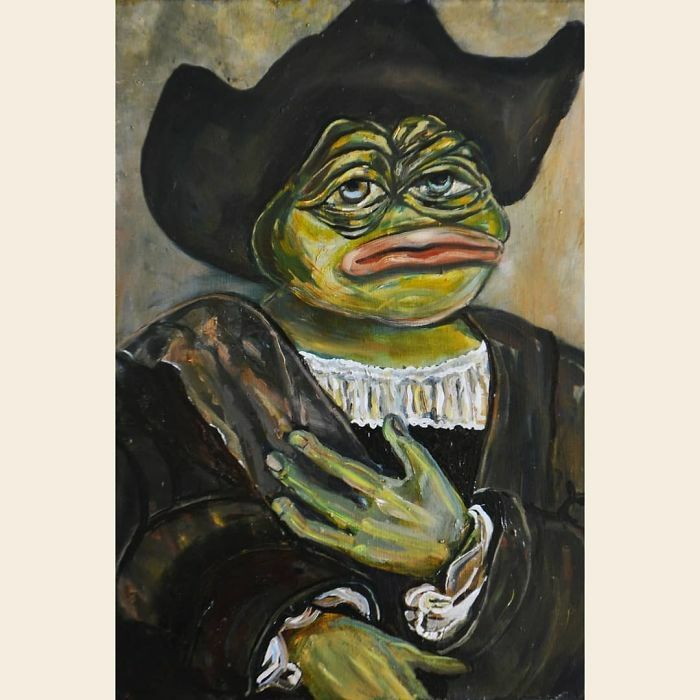 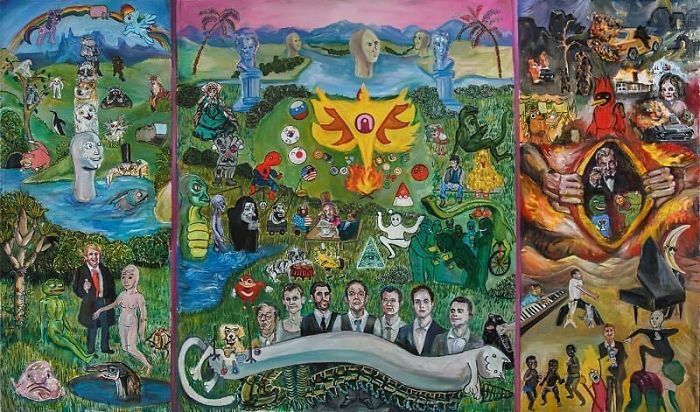 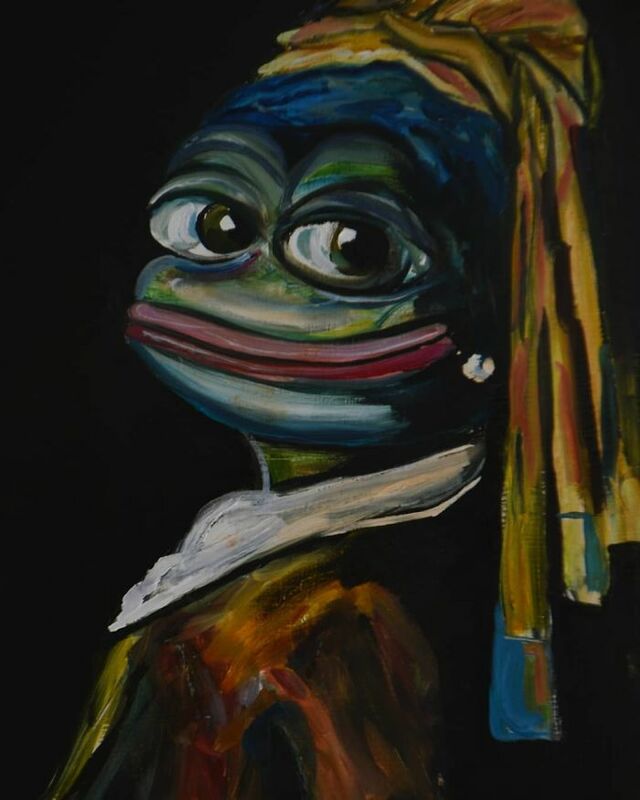 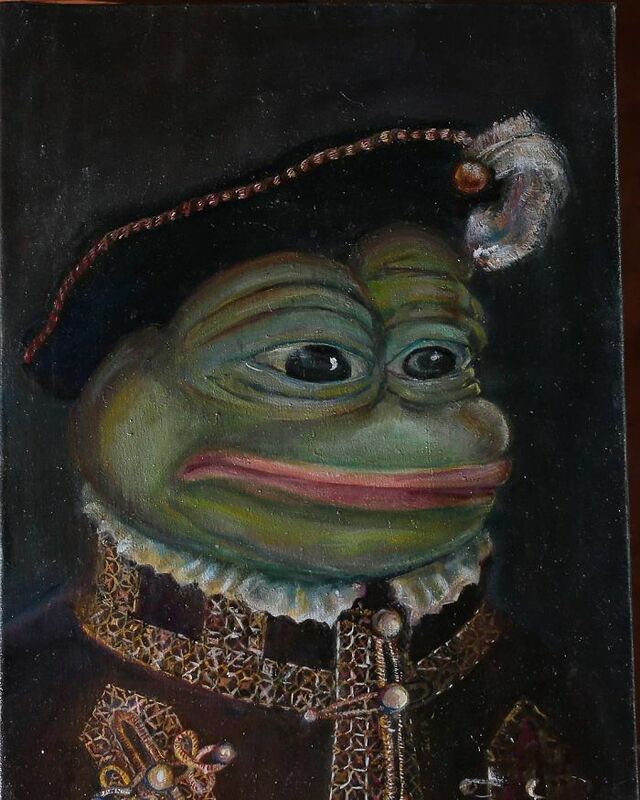 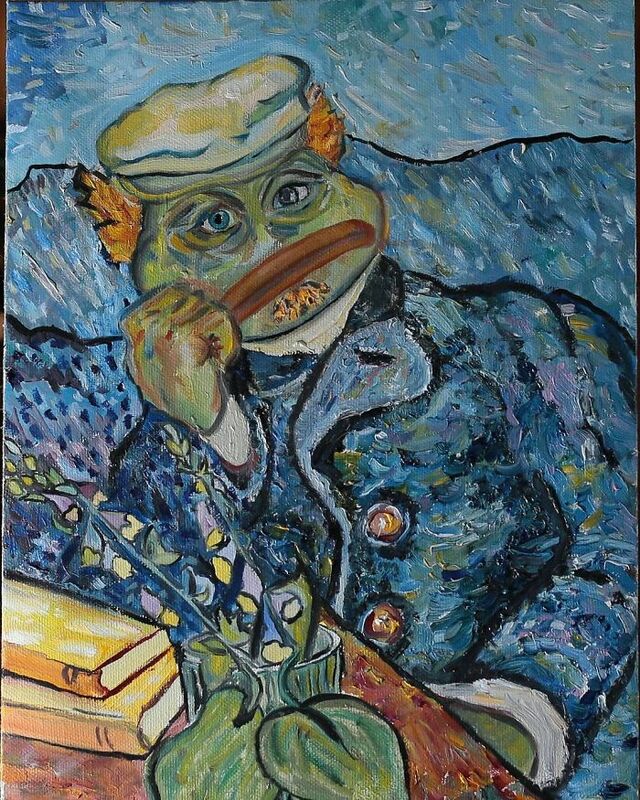 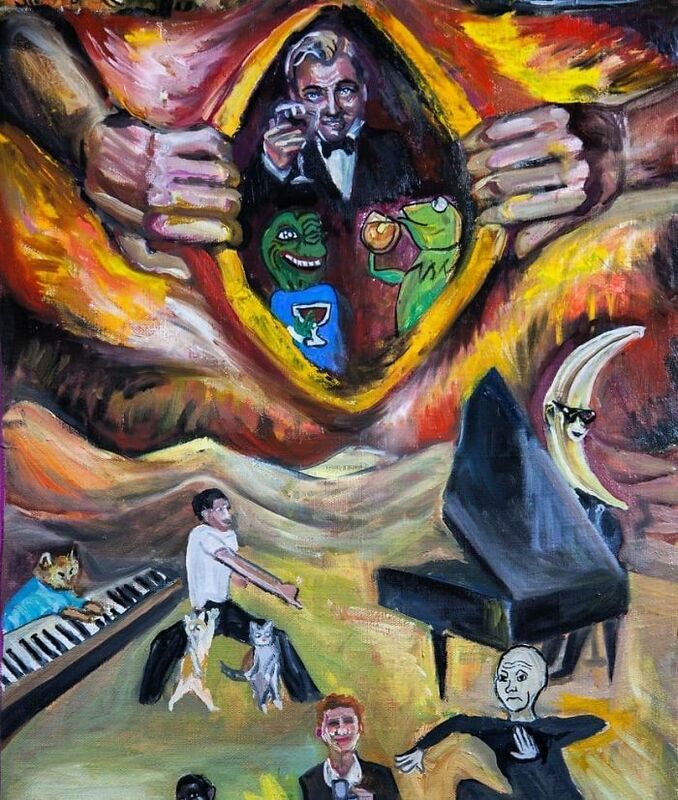 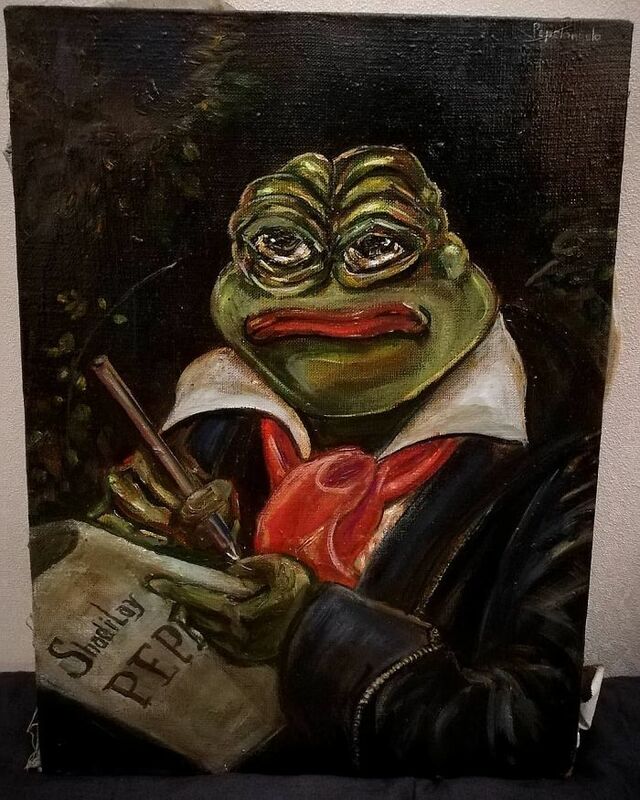 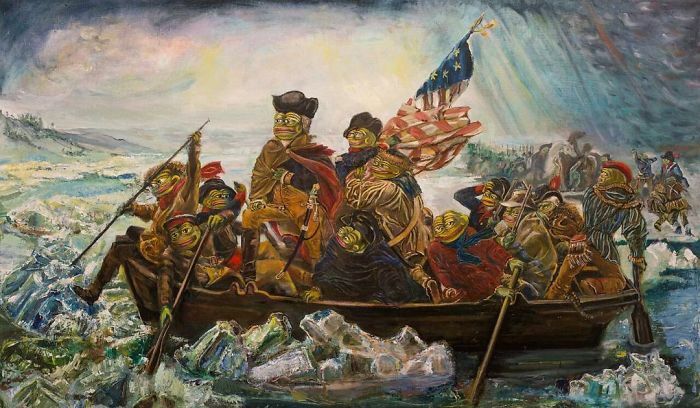 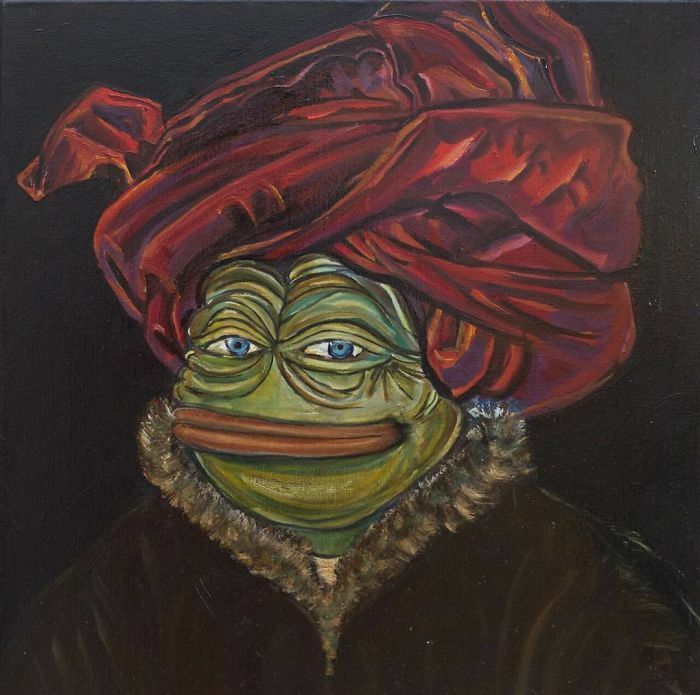 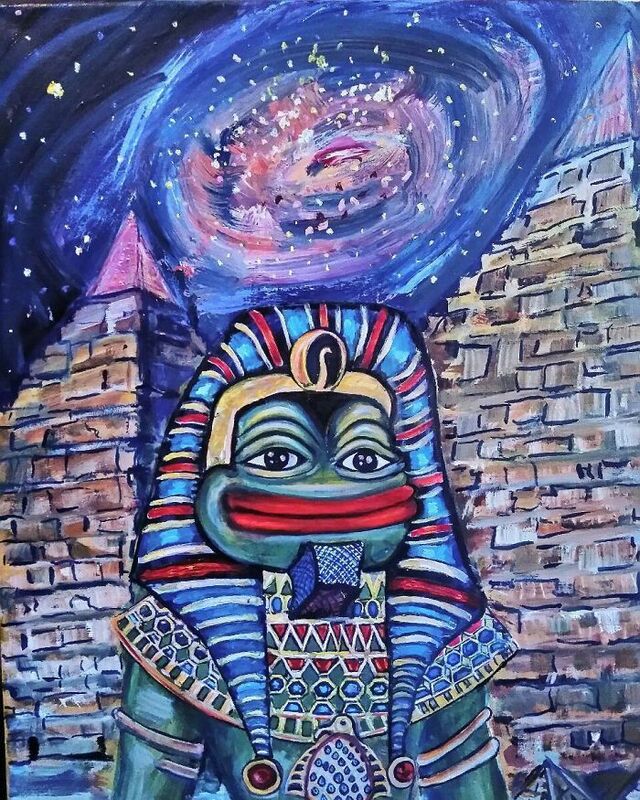 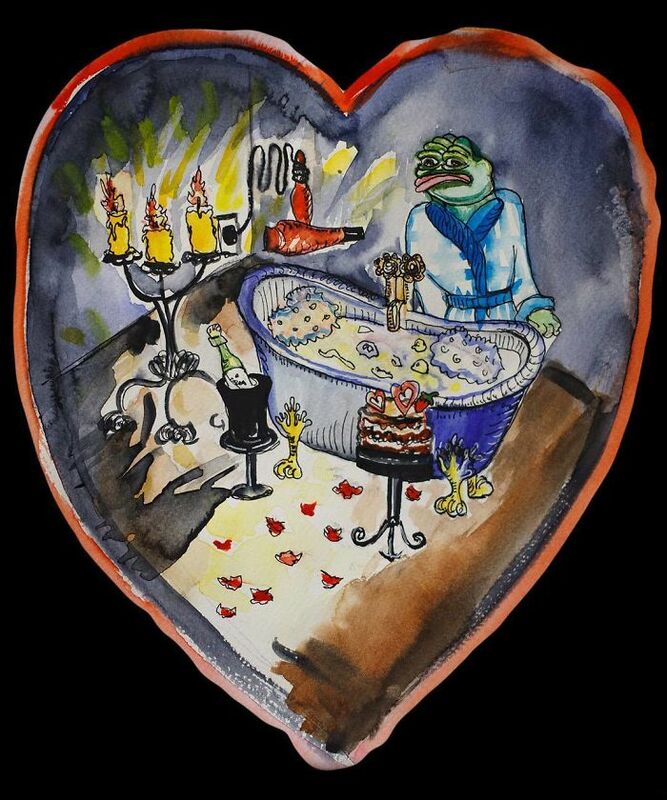 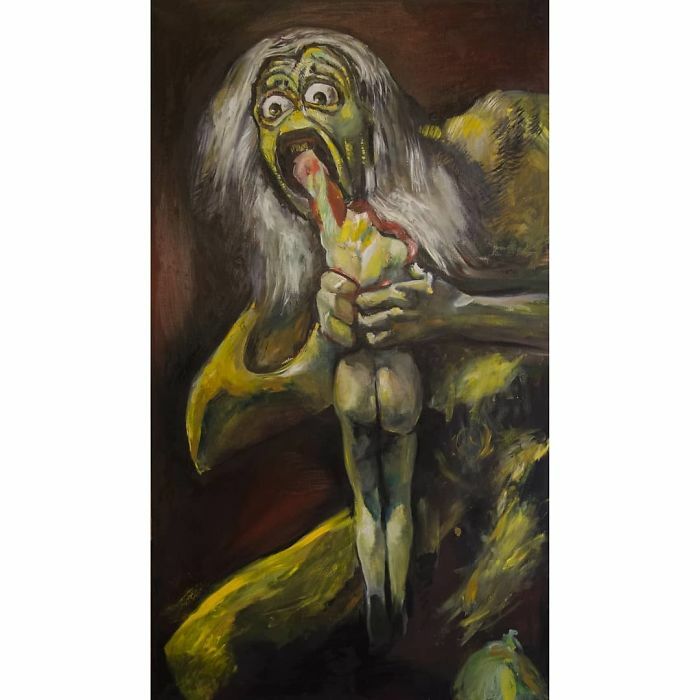 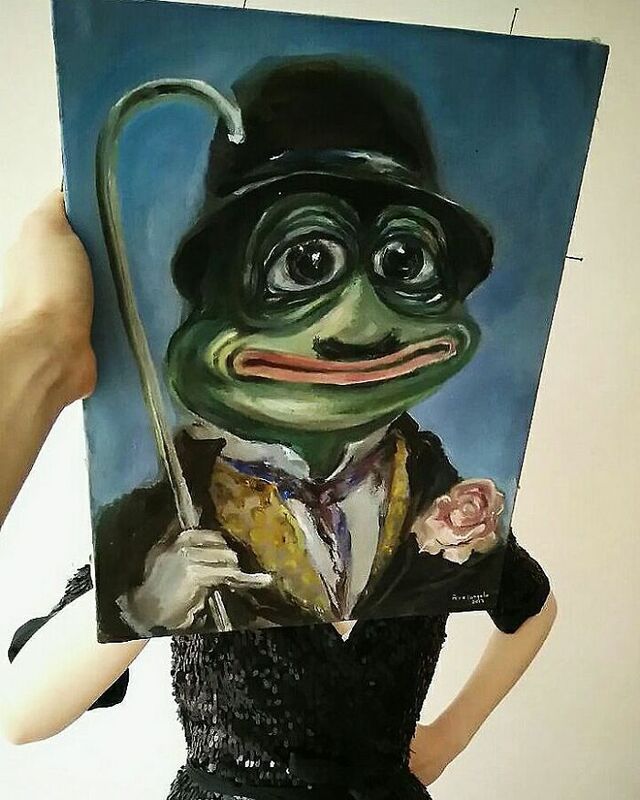 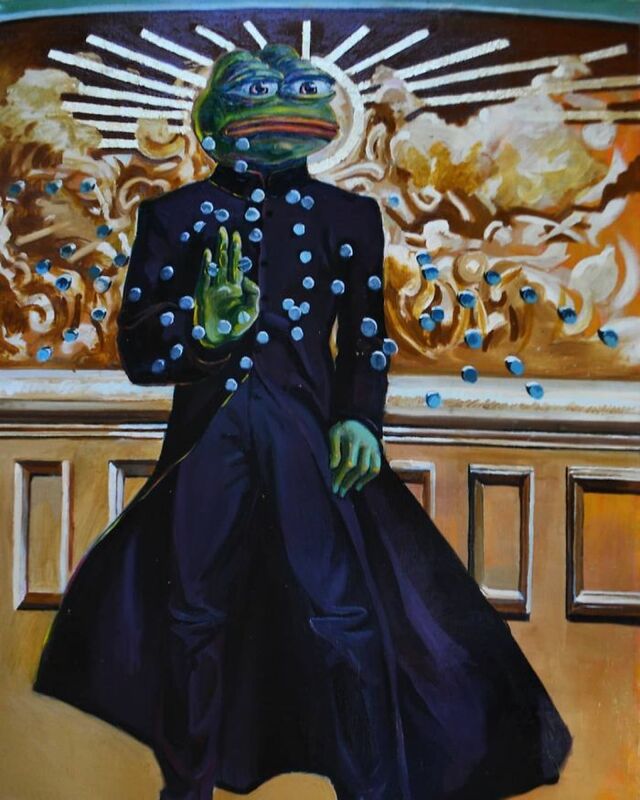 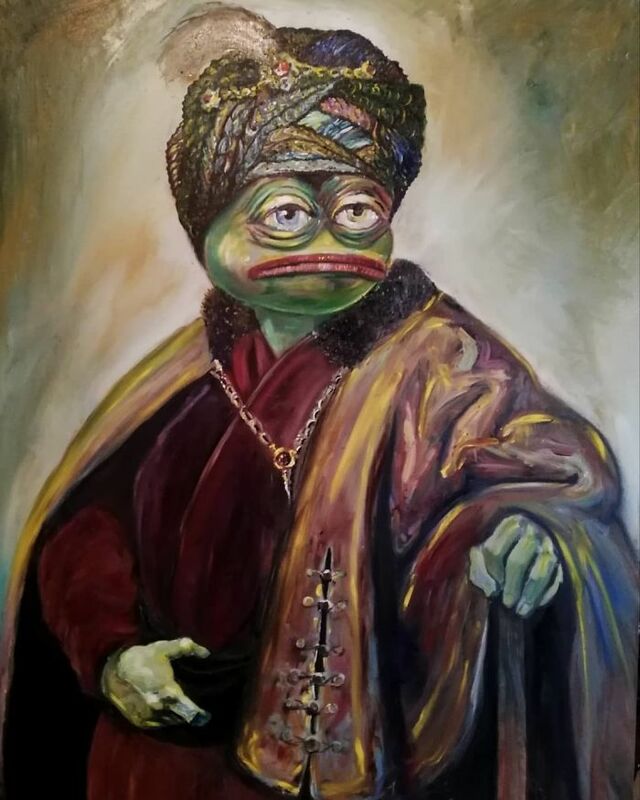 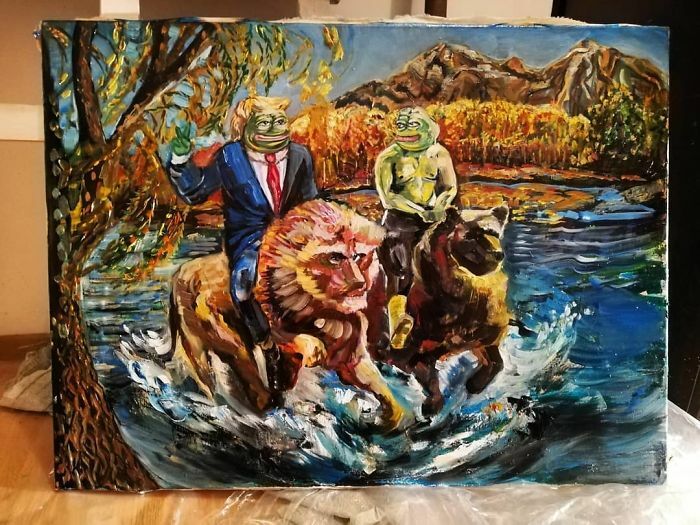 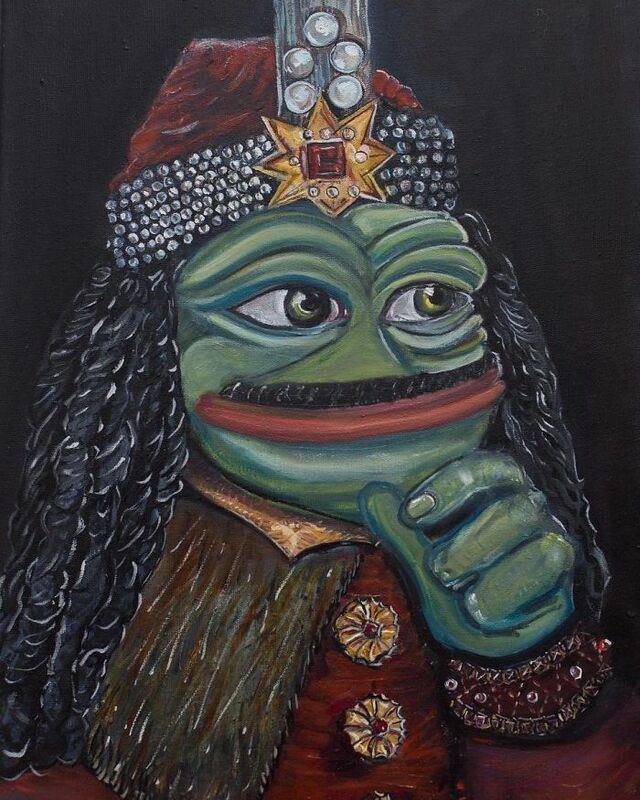 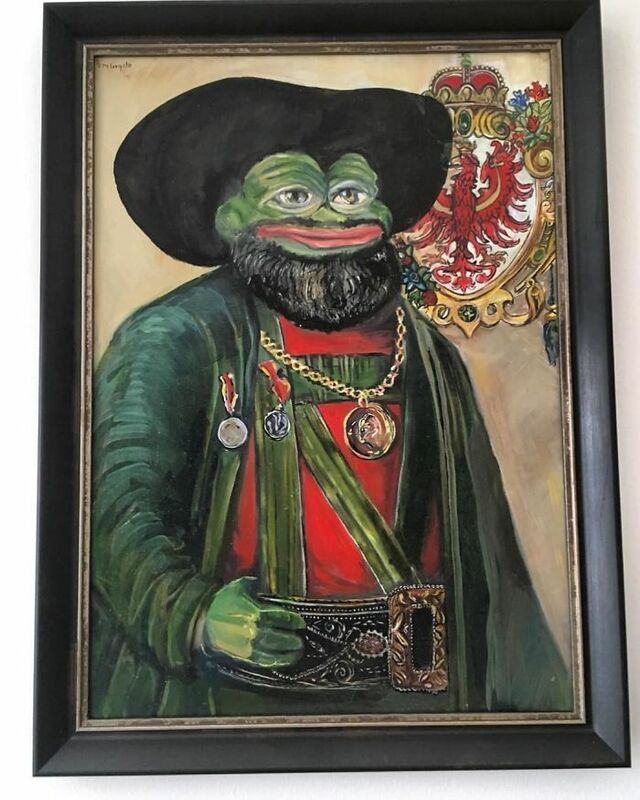 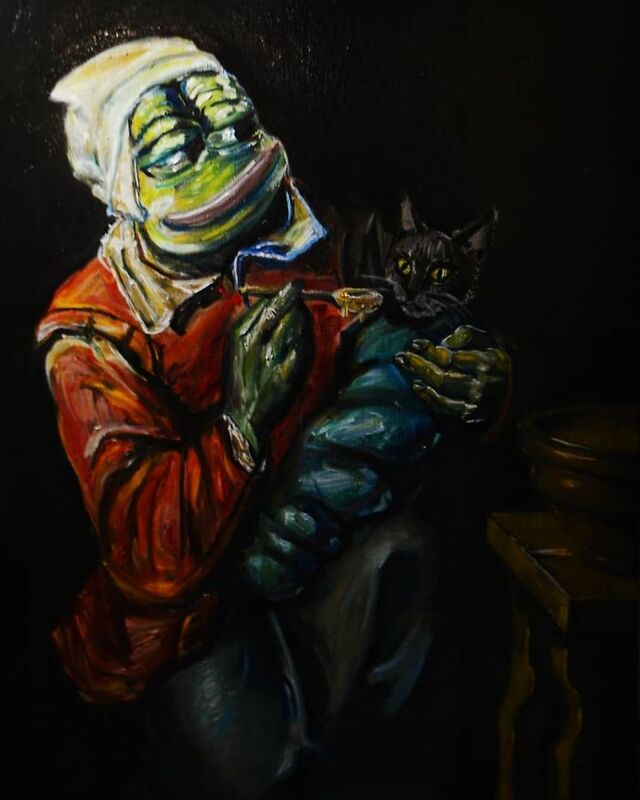 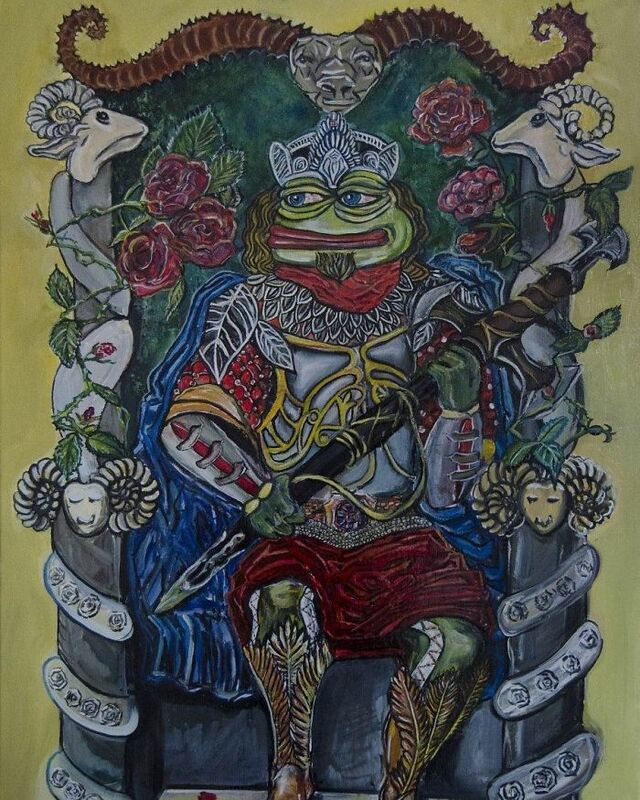 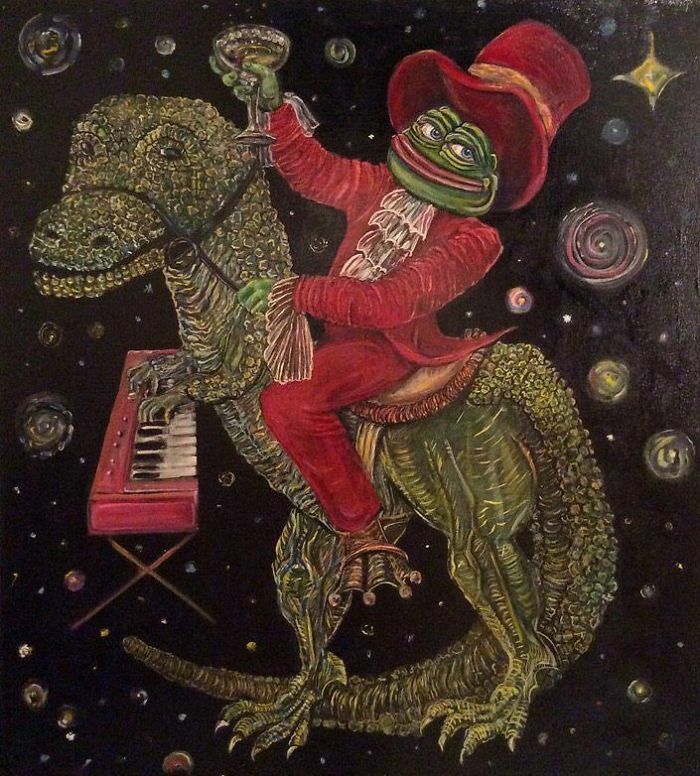 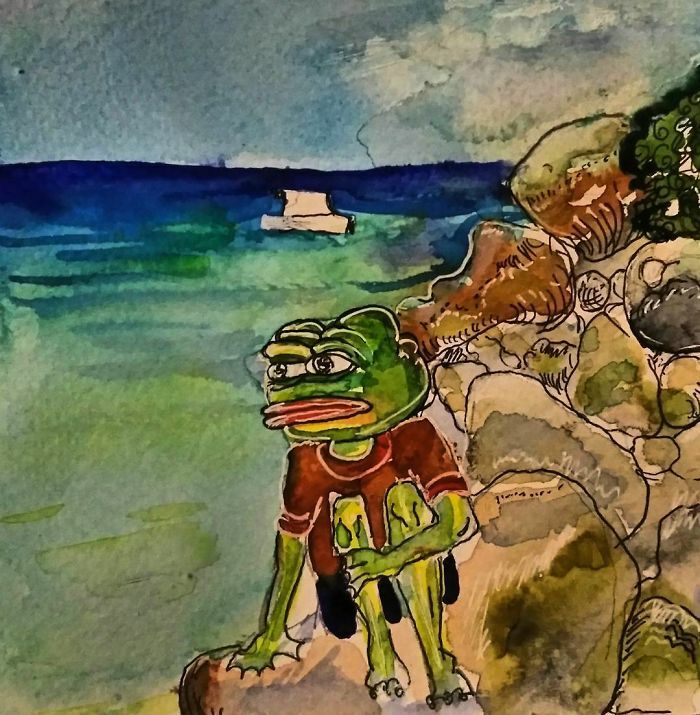 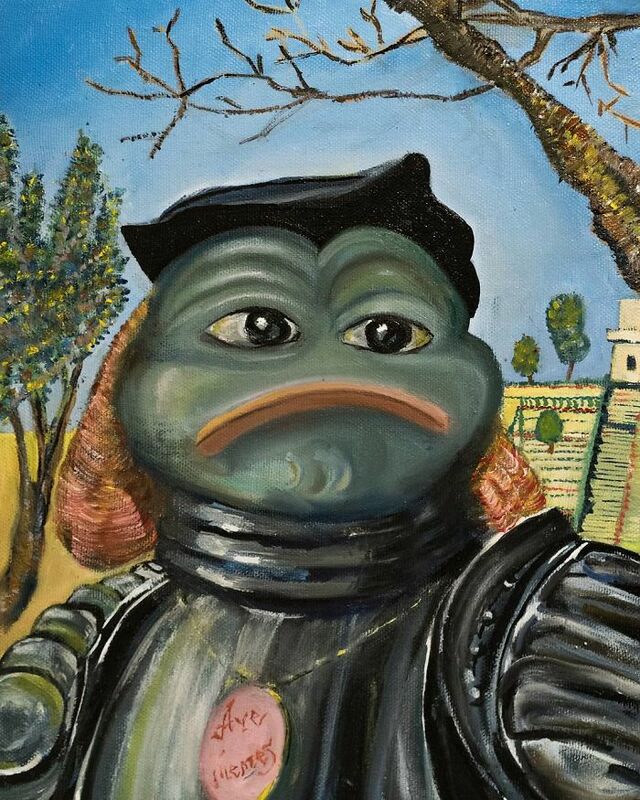 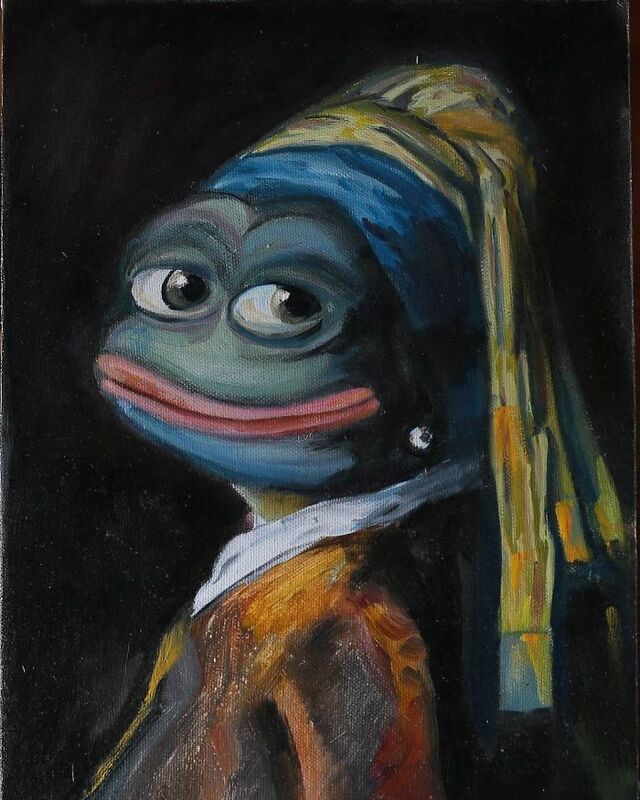 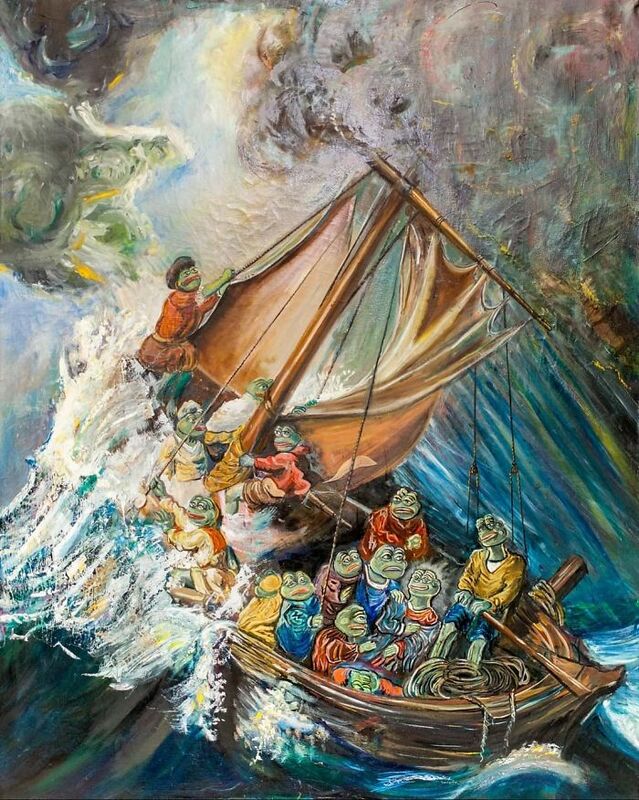 For the past 2 years or so, Pepelangelo has been painting Pepe the Frog, showing the popular meme in ways we’ve never seen before. 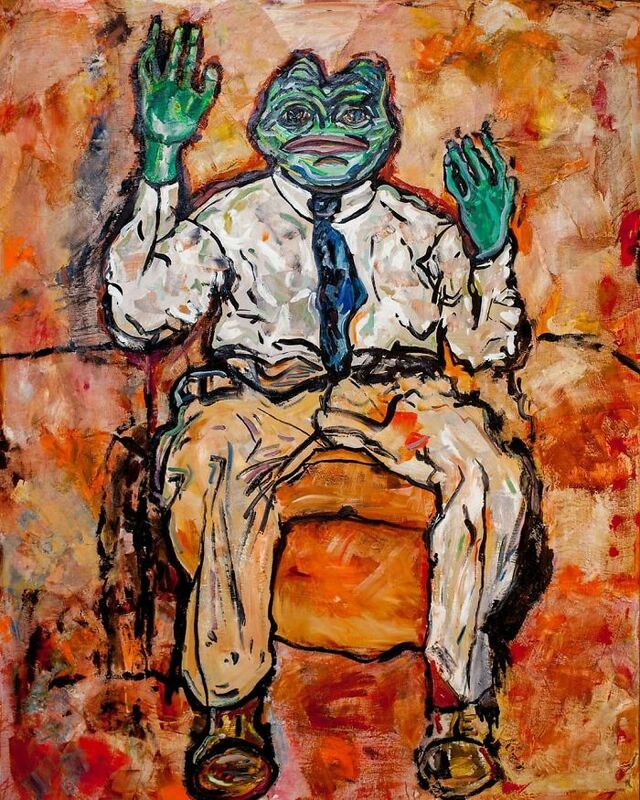 This green anthropomorphic frog first appeared in a comic by Matt Furie called Boy’s Club. 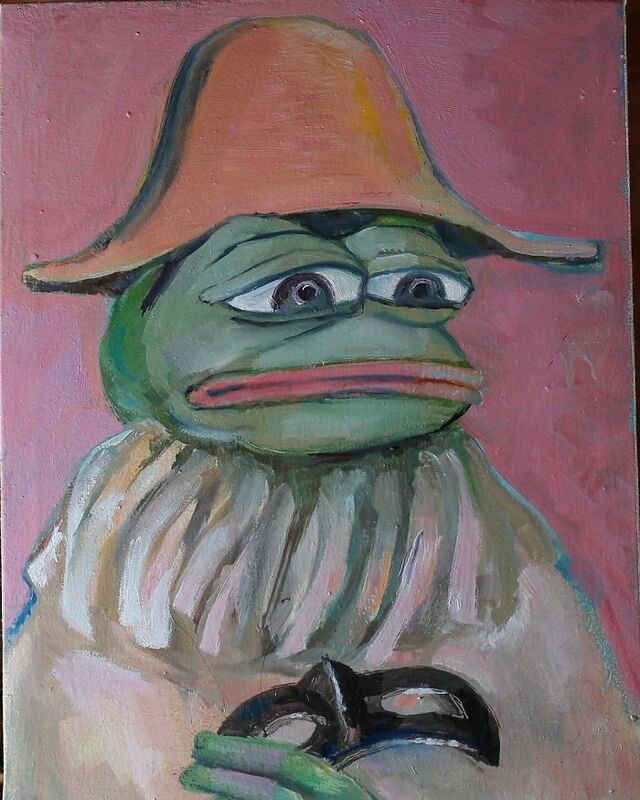 Eventually, platforms like Myspace, Gaia Online, and 4chan transcended the character, making it a meme. 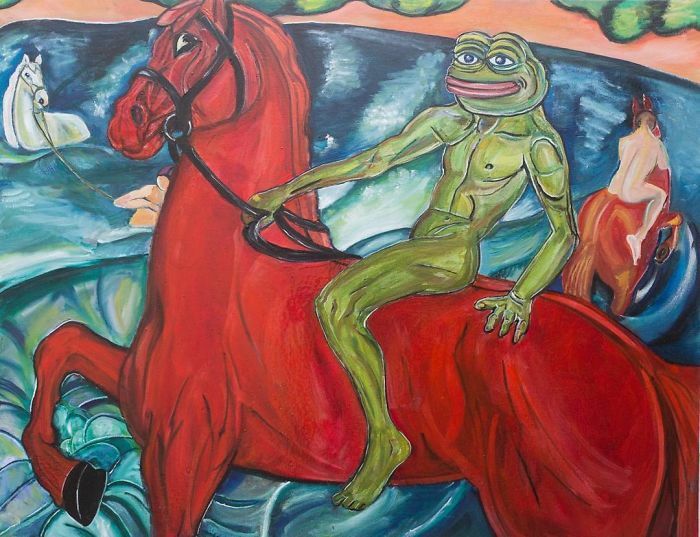 By 2016, it had been appropriated as one of the symbols of the controversial alt-right movement. 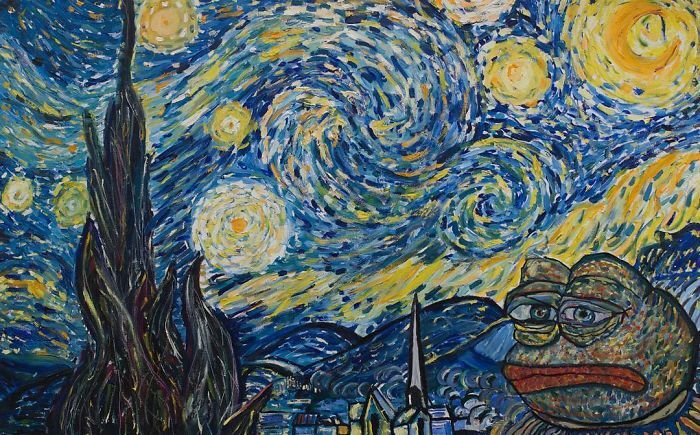 The Anti-Defamation League, an anti-hate organization founded in 1913, even added certain incarnations of Pepe the Frog to their database of hate symbols in 2016. 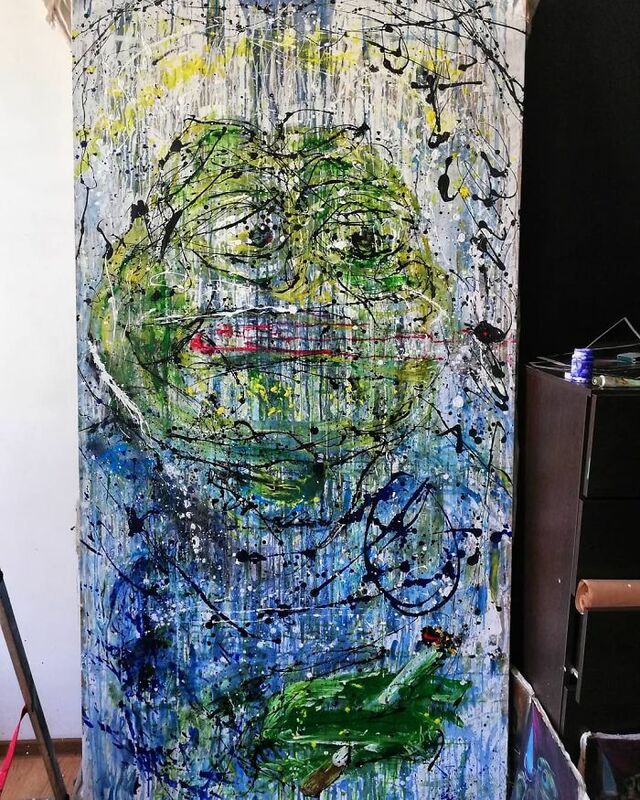 They did, however, make it clear that they don’t see all Pepe memes as abusive. 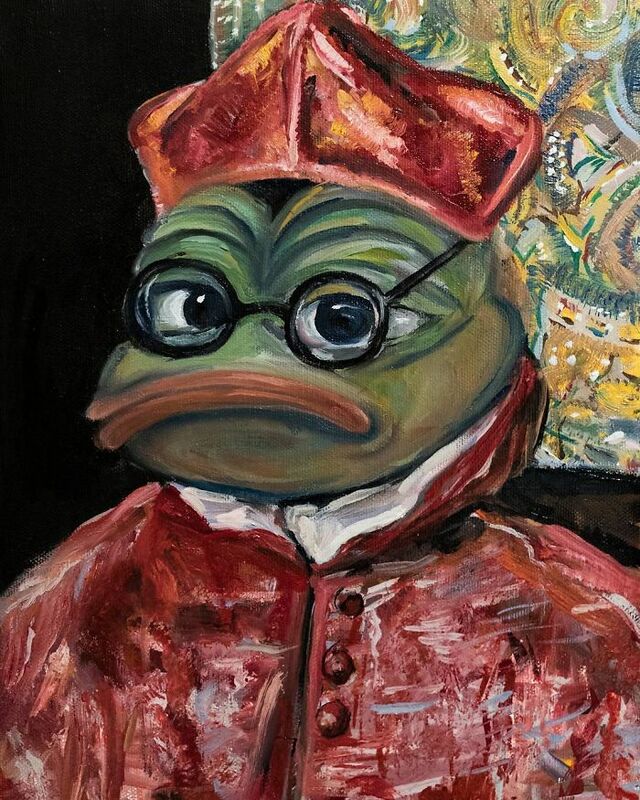 Pepelangelo wants to change that. 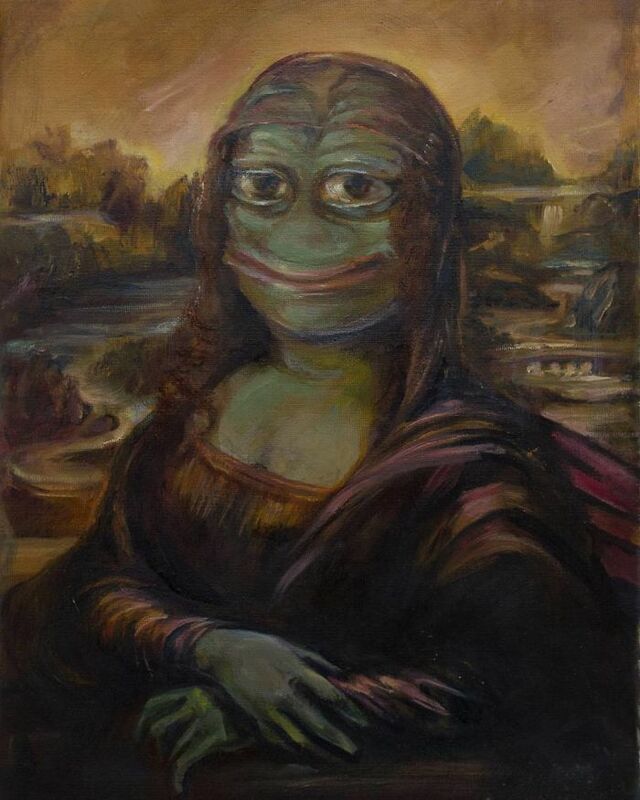 To her, the character “is not a symbol of hate, but a symbol of peace, love and solidarity.” From ancient Egypt and Byzantium to the Renaissance and avant-garde, from mosaics and sculptures to jewelry and video art, she’s portraying the little green fellow in the positive light its creator originally saw it under.